So many different types of light bulbs! Most clients have a drawer or closet shelf full of them – all different sizes and types; one hopes that most of them work, but there are usually some that do not. So what to do with the old ones? Can you just put them in your trash? Not necessarily. It certainly helps to know what type of bulb you are dealing with first. It’s a bit more complicated than you may think! 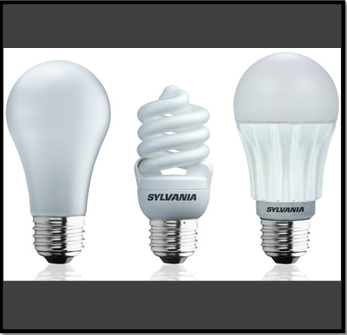 What exactly is a CFL Bulb? 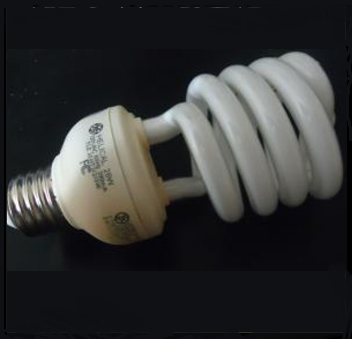 CFL stands for Compact Fluorescent Light. Most of these are the squiggly type of bulb, and have replaced the regular incandescent light bulbs that many of us grew up with. 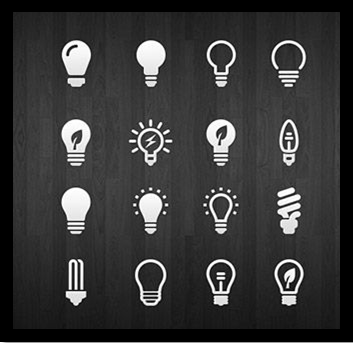 They use approximately 75% less energy than traditional incandescent bulbs. 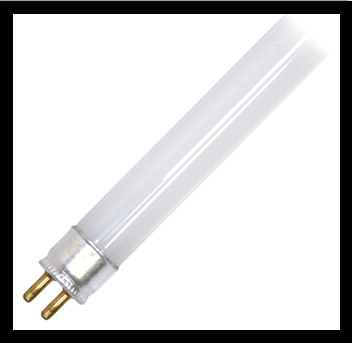 Fluorescent light tubes, like the ones found in many office buildings and shopping centers, also contain mercury. They need to be recycled in the same manner as CFL bulbs. Why should fluorescent bulbs be recycled? The biggest issue with all fluorescent bulbs is that they contain mercury. According to the Illinois Department of Public Health, it’s not illegal to dispose of CFLs in household trash. However, the agency strongly encourages taking unbroken CFL bulbs to a local recycling center. Recycling keeps mercury out of landfills and incinerators and is one of the best ways to help prevent the release of mercury to the environment. There are a number of businesses and communities in the area that will accept fluorescent bulbs for recycling. Various communities, including Winnetka, Wilmette and Skokie. 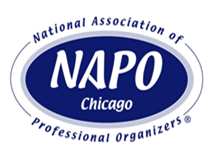 Chemical waste centers – located in Gurnee, downtown Chicago and Naperville. Make sure you check first with your local store! Call your local village department or check the website to see if they collect these types of bulbs. If they do, pay attention to the hours/days for collection. LED stands for light-emitting diode. These bulbs last up to ten times as long as compact fluorescents, and far longer than typical incandescent bulbs. In addition, no mercury is used in the manufacturing of LEDs. There is currently very limited recycling of these bulbs. But due to their longevity, they should not need to be replaced very often. 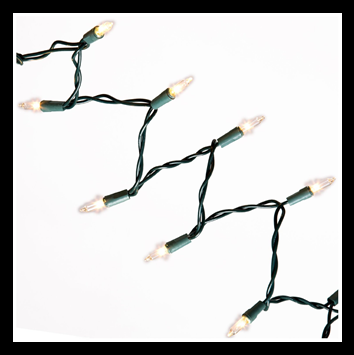 Many communities in the Chicagoland area have programs to recycle holiday string lights. This includes various types of Christmas lights (both indoor and outdoor) as well as Halloween lights, which have had a large uptick in many neighborhoods over the last few years. For a listing of various communities offering this service, check out this link, sponsored by SWANCC (Solid Waste Agency of Northern Cook County). Note that the dates and times for drop-off are being updated as we get closer to the holiday season. You must bring the lights yourself, but a number of locations are open around the clock and on weekends for your convenience. Yes – this is the ‘regular’ light bulb that all of us are the most familiar with. Note that the manufacturing of this type of bulb has been banned in the U.S. According to National Geographic’s “Great Energy Challenge”: On January 1, 2014, in keeping with a law passed by Congress in 2007, the old familiar tungsten-filament 40- and 60-watt incandescent light bulbs can no longer be manufactured in the U.S., because they don’t meet federal energy-efficiency standards. It’s the last part of a gradual phase-out that began in 2012 with 100-watt bulbs, and progressed last year with discontinuation of the 75-watt variety….Until the supplies run out, the old bulbs still will be available on store shelves, alongside the electricity-saving alternatives that gradually will replace them. There has never been any formal type of recycling program for these bulbs. The best option is to wrap them to prevent breakage and place them in your trash. They should not be recycled with your glass. According to Recycle Nation, the glass in the bulb has a different melting temperature than the glass in jars or bottles. A single light bulb can ruin a whole batch of perfectly recyclable glass. 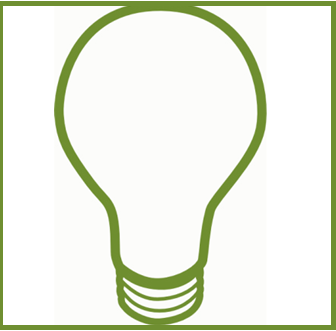 light bulb recycling; CFL: fluorescent bulb recycling.